Haley has also said that the US has not yet taken a position on the boundaries and border of Jerusalem, nor is it calling for changes to the existing arrangements on holy sites. She also reiterated the US commitment to the peace process, which she said has credibility with both Israelis and Palestinians. Earlier, United Nations' Middle East envoy responded to Donald Trump's recognition of Jerusalem as the capital of Israel, warning of the risk of "violent escalation" following the US president's announcement. Nickolay Mladenov said that Trump's decision has caused "anxiety across the Middle East and beyond," but has been "widely welcomed in Israel." He went on to state that he is "particularly concerned about the potential risk of violent escalation." "We continue to follow developments on the ground very closely. We all understand and respect the symbolic religious and emotional charge that Jerusalem holds for people across the region and beyond." Israeli ambassador Danny Danon praised the “courage” of the American decision, describing it as a “milestone for Israel, for peace and the world.” Holding up an ancient coin from 67 AD with “Jerusalem the Holy” inscribed on its face, Danon recounted the significance of Jerusalem to Jewish history and beliefs, and condemned the UN for its past resolutions. “The United States has the courage to right historic wrongs,” Danon said, comparing Trump’s decision to President Truman’s recognition of Israel in 1948, and calling on the rest of the world to move their capitals to Jerusalem. Palestinian envoy Riyad Mansour called the US decision a “direct contravention of Security Council resolutions” that would have “far-reaching consequences”. “The Israeli government’s glee at this decision underscores that the decision made today was instigated by the occupying power,” he said, before accusing Israel of undermining the peace process and the two-state solution on pre-1967 lines. 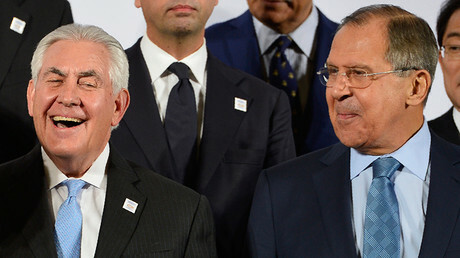 “Complicity must be recognized – the US decision disqualifies its leadership role in making peace in the region,” Mansour said. 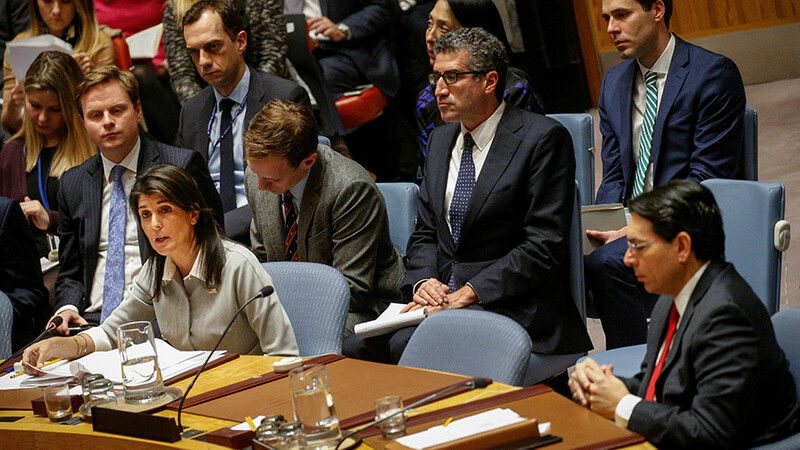 Russia's permanent representative to the UN, Vassily Nebenzia, told the Council it was necessary to restart the political process on the Middle East settlement. “In the current circumstances, it is more important than ever to urgently restart a meaningful political process aimed at achieving a final and stable Palestinian-Israeli settlement on the basis of a two-state solution," Nebenzia said. In this respect, Nebenzia stressed that the Middle East Quartet (the EU, the UN, the Russian Federation and the US) "remains a unique mediating mechanism." “The principal position of Russia remains unchanged. 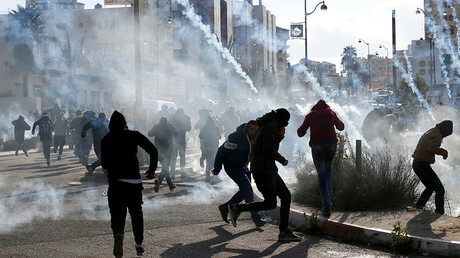 It envisages the promotion of such a long-term Palestinian-Israeli settlement that will ensure the peaceful and secure existence of Israel in internationally recognized borders, as well as the aspirations of the Palestinian people for the creation of their own independent state," said the ambassador, adding that West Jerusalem should become the capital of Israel, and East Jerusalem the capital of Palestine. The United Kingdom's envoy to the UN, Matthew Rycroft, said his country's position on the status of Jerusalem is "clear and long-standing." He stressed that the city "should ultimately be the shared capital of the Israeli and Palestinian states." He went on to say that Britain "disagrees" with the US decision to recognize Jerusalem as the Israeli capital, and to move its embassy to Jerusalem. He added that the UK has no intention of moving its embassy in Israel away from its current location in Tel Aviv, and urged the US to put forward detailed proposals of how to settle the ongoing tensions. "We strongly encourage the US administration to bring forward detailed proposals for an Israeli-Palestinian settlement," he said. "The UK will also do everything we can to support progress and achieve the vision of a lasting peace." Meanwhile, France said it "regrets" Trump's decision to recognize Jerusalem as Israel's capital, adding that the status of the city "must be determined by the parties under a peace agreement." "France is a friend of the Palestinian, we are a friend of the Israels as well. For this reason, we seek to speak truth by calling upon them to return to the negotiating table. Indeed, there is no short cut in the difficult path towards peace. This requires negotiations and respect for the other." The country called on all sides to exercise restraint, while also stating that Paris is "greatly alarmed by risks of escalation on the ground" following Trump's announcement.